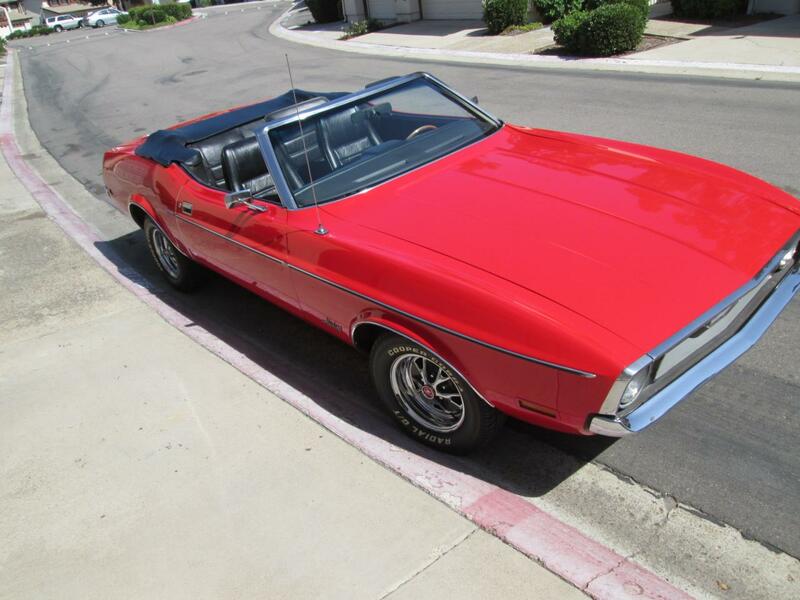 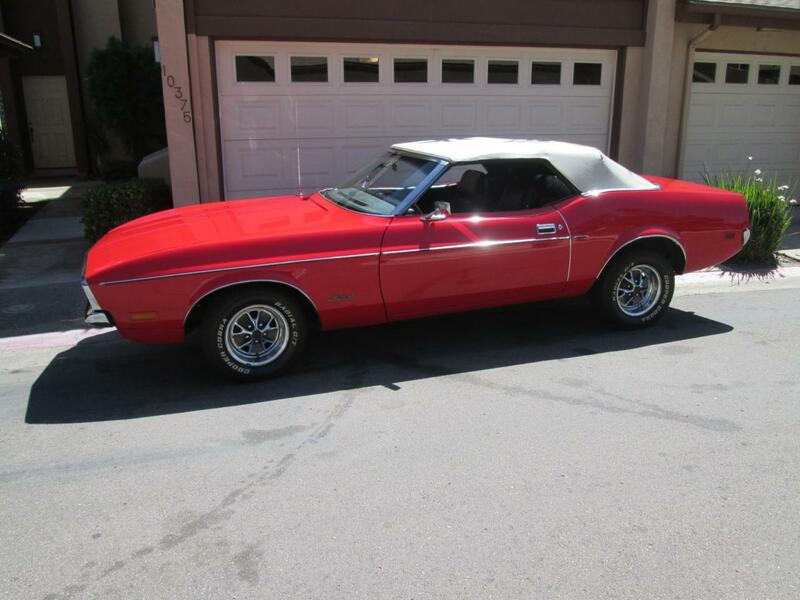 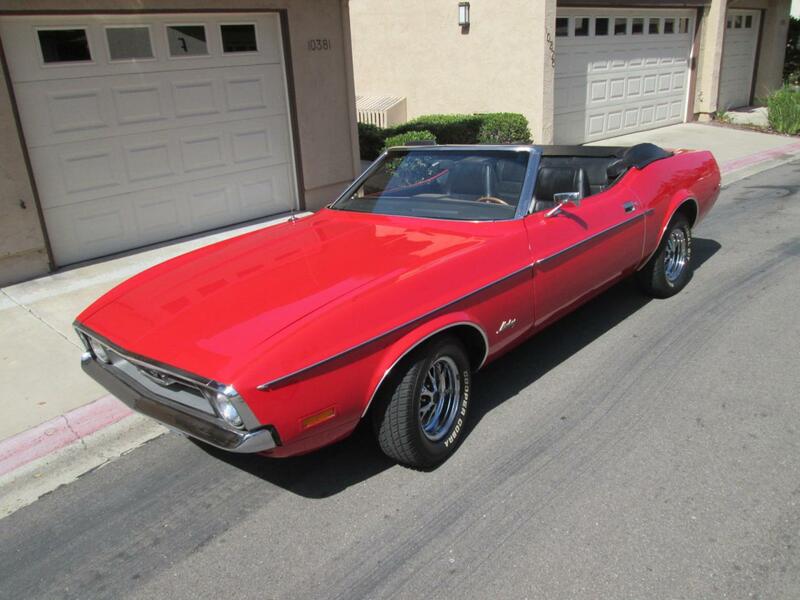 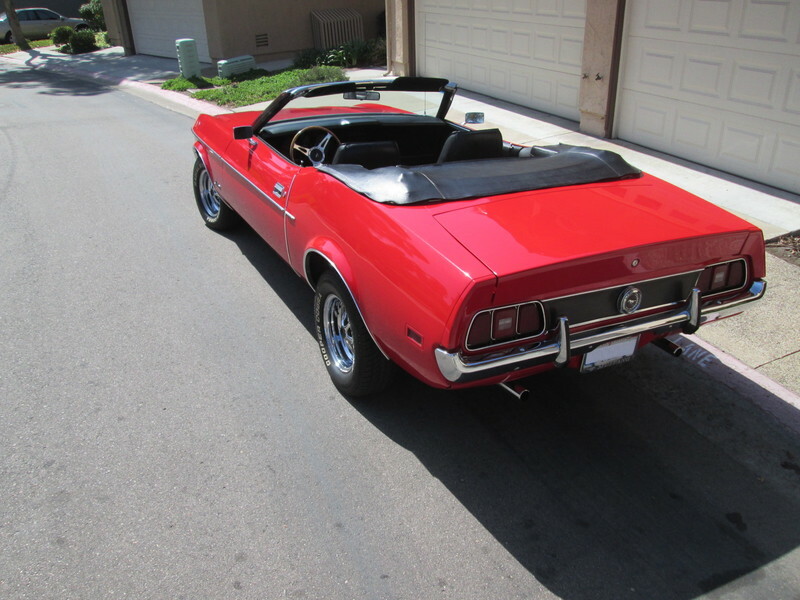 1971 Mustang Convertible - Nicely optioned! 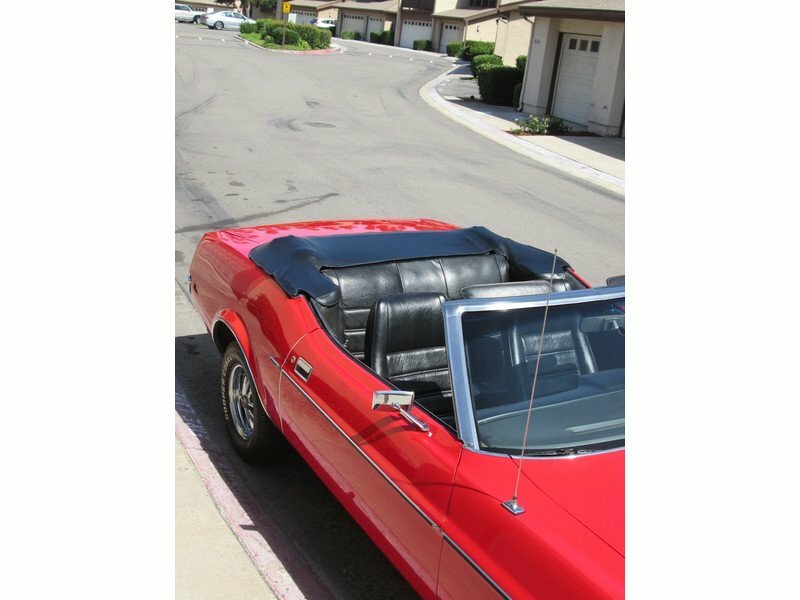 A true California classic car, this 1971 Mustang convertible is equipped with an "F" code 302 V-8 engine, C-4 automatic transmission and dual exhaust. 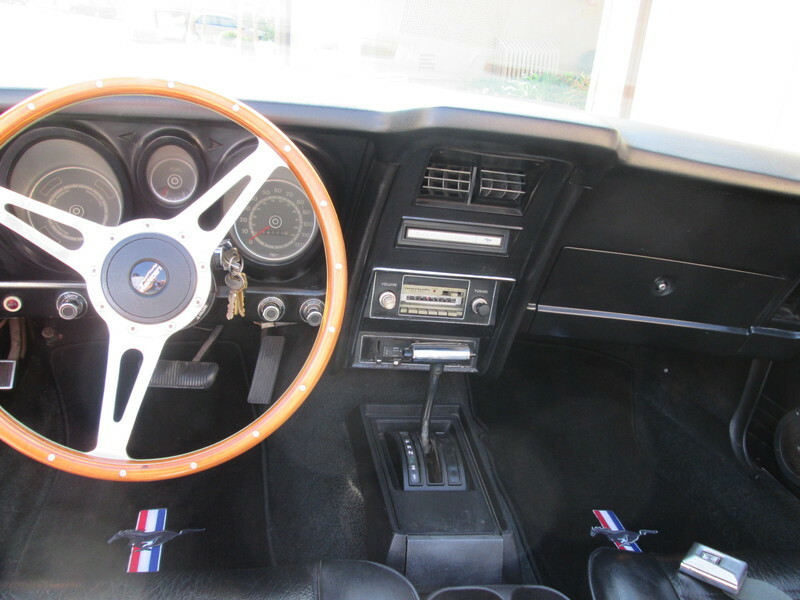 It comes with power steering, front disc brakes, console, AM/FM with cassette player, Cobra steering wheel, a power top and Style Steel Wheels. 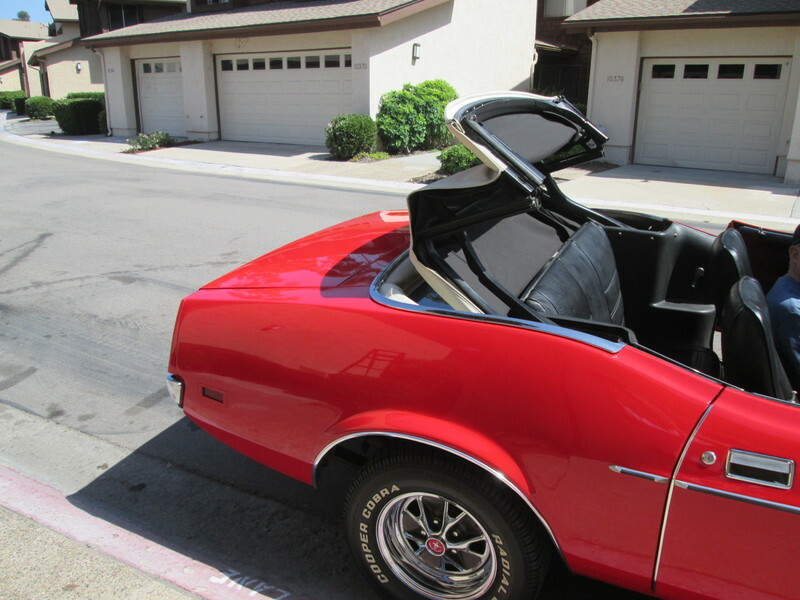 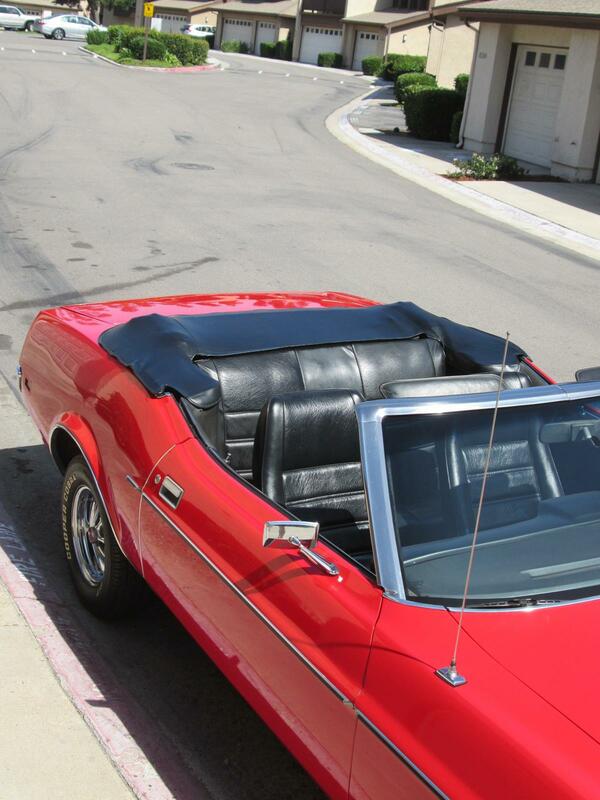 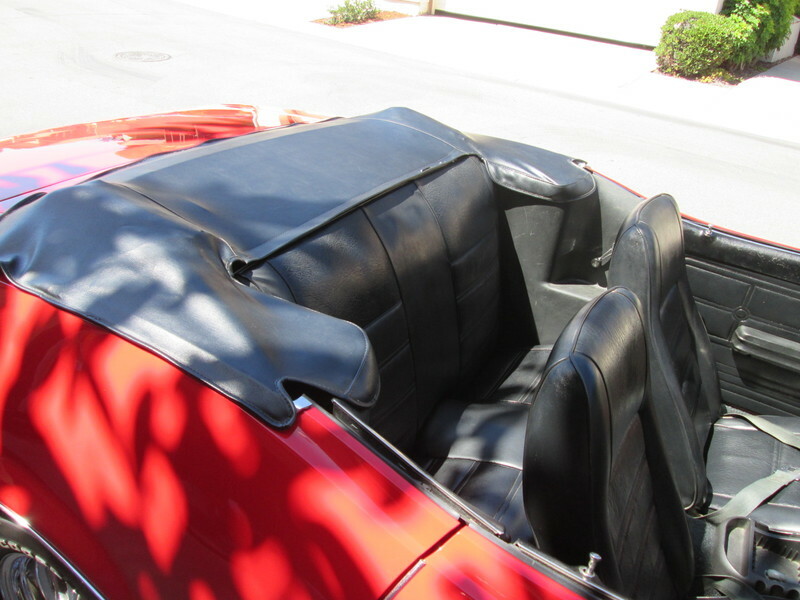 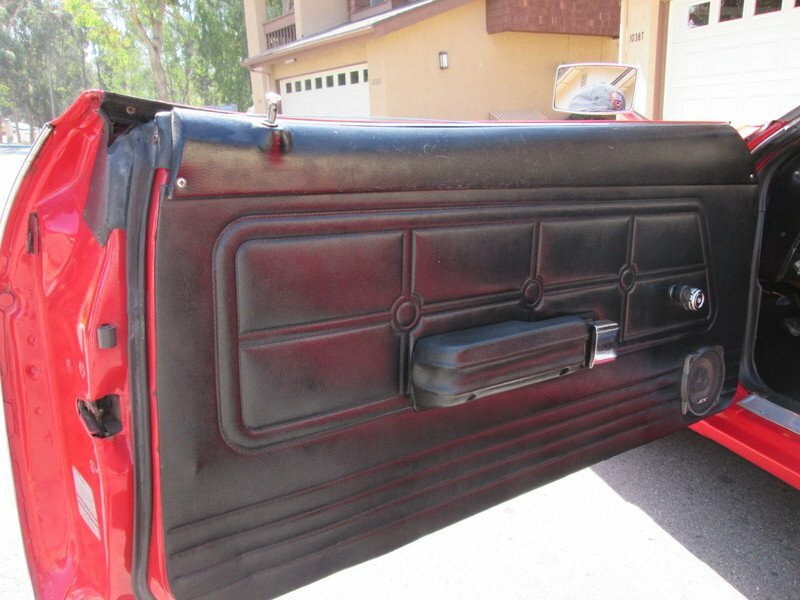 This classic convertible comes in red with a white top and black interior. 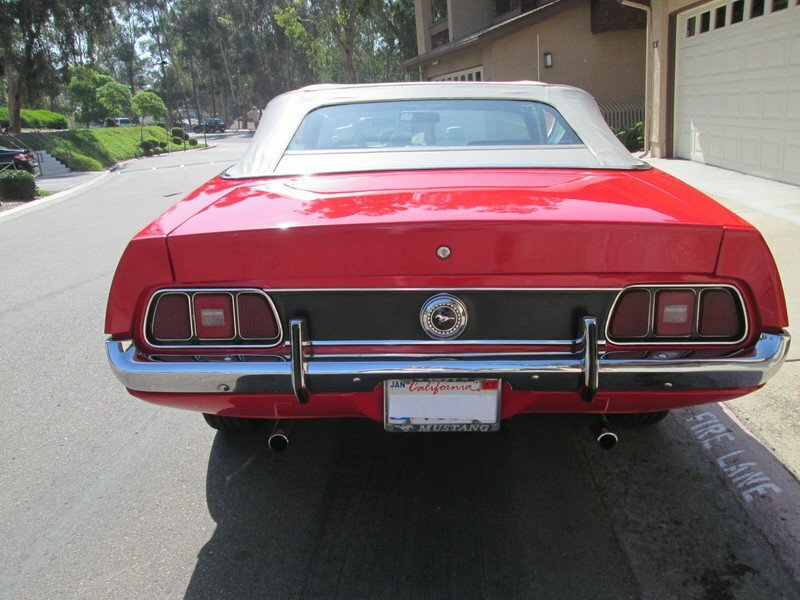 The paint is nice, but not the original red color. 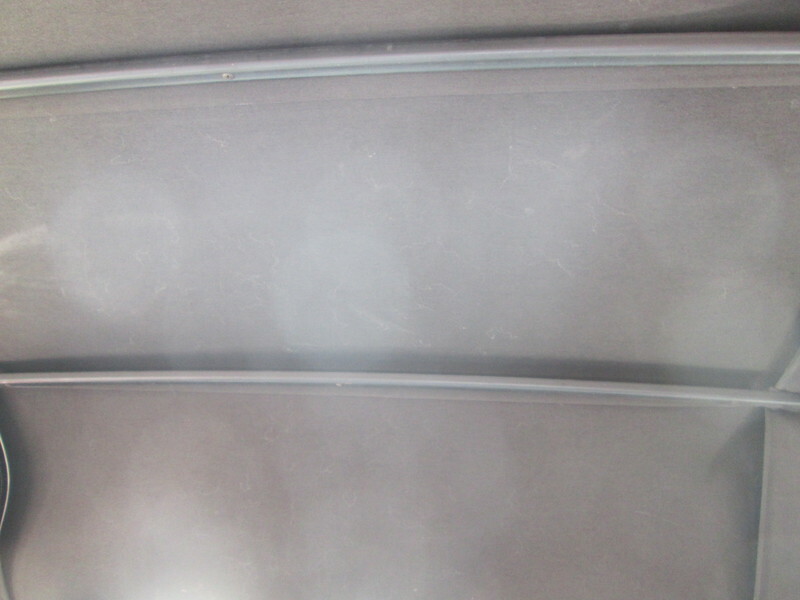 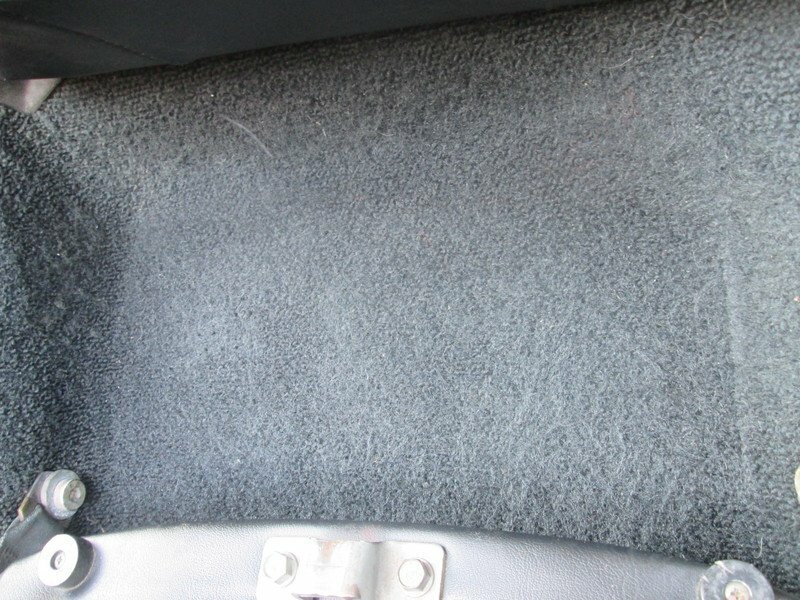 The trim is in good condition with minor pitting in a some areas and a small blemish on the front bumper where chrome is peeling. 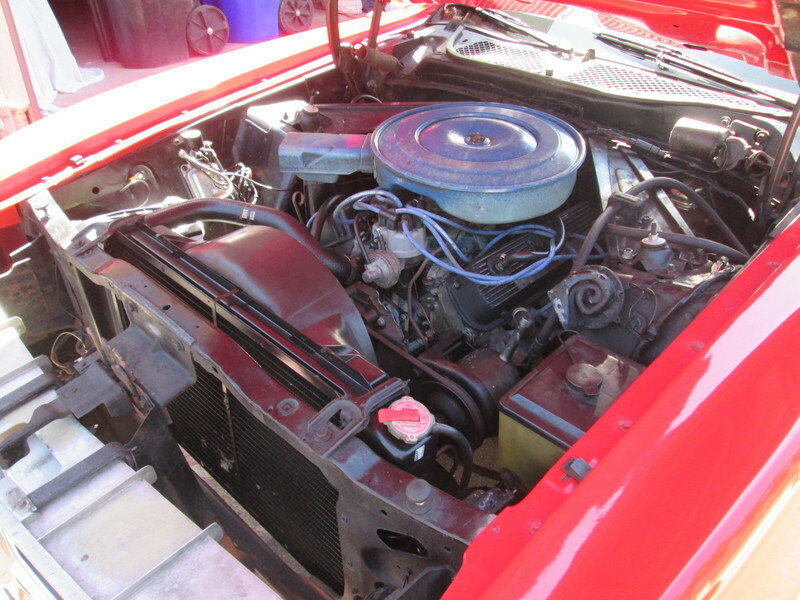 This is an older restoration in very good condition with a solid undercarriage. 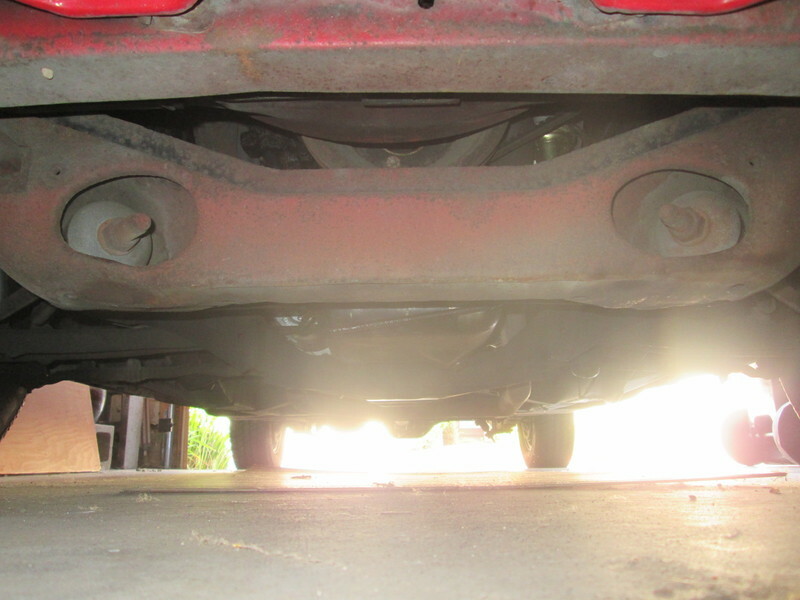 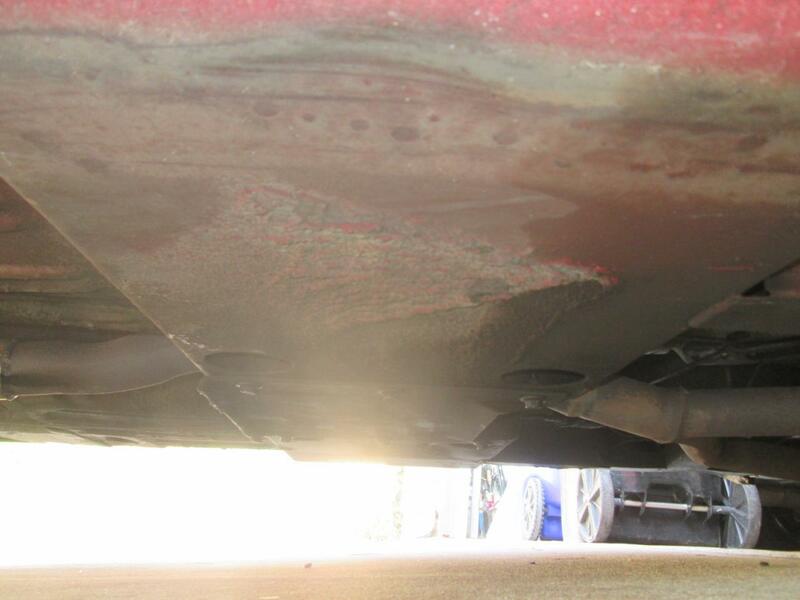 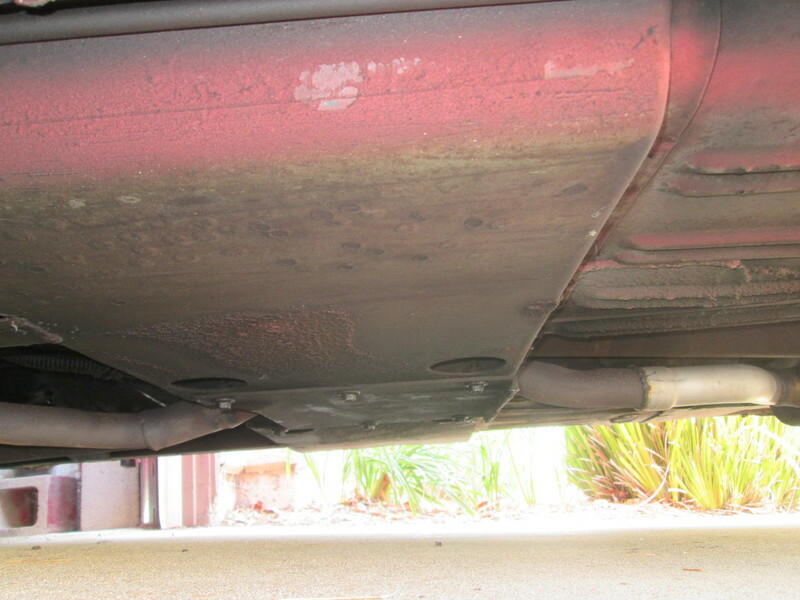 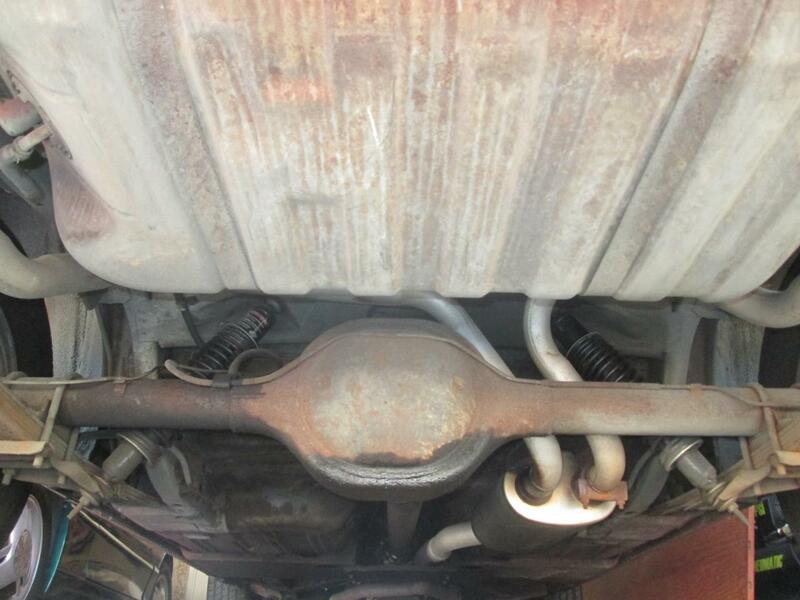 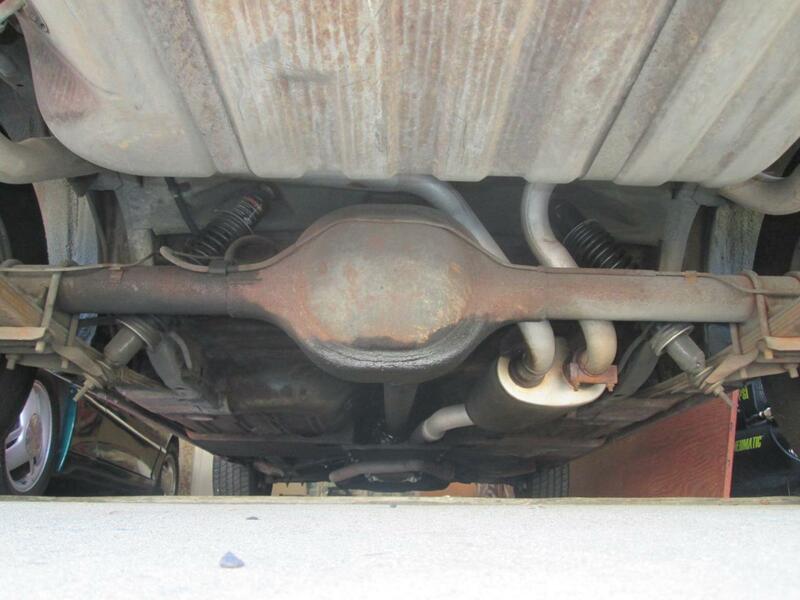 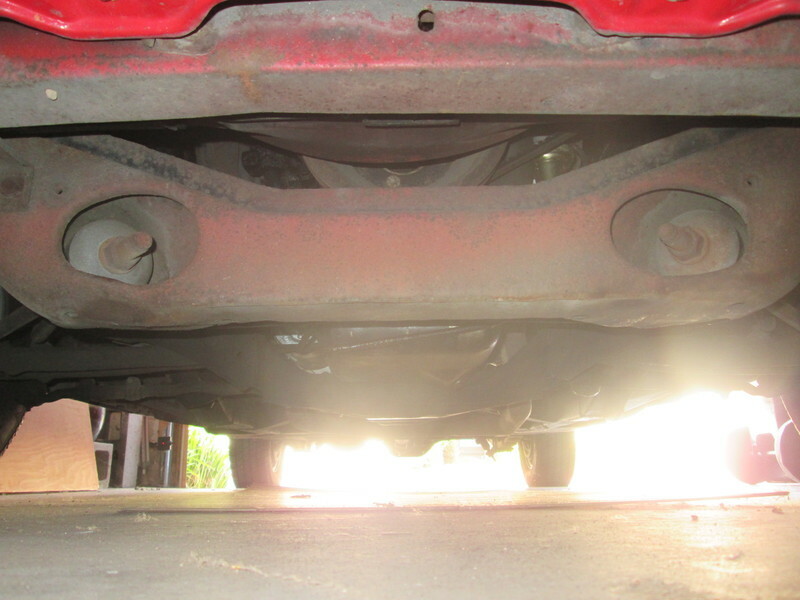 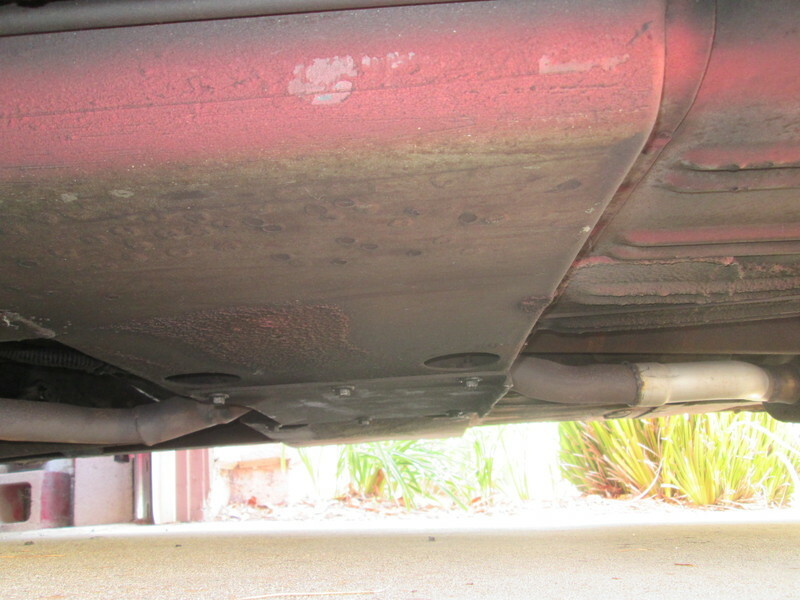 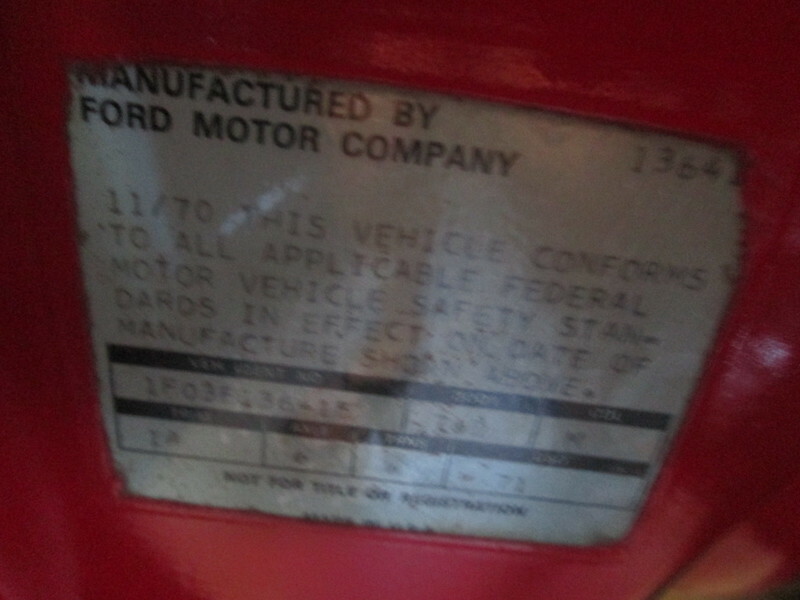 There is no structural rust on this 71 Stang. 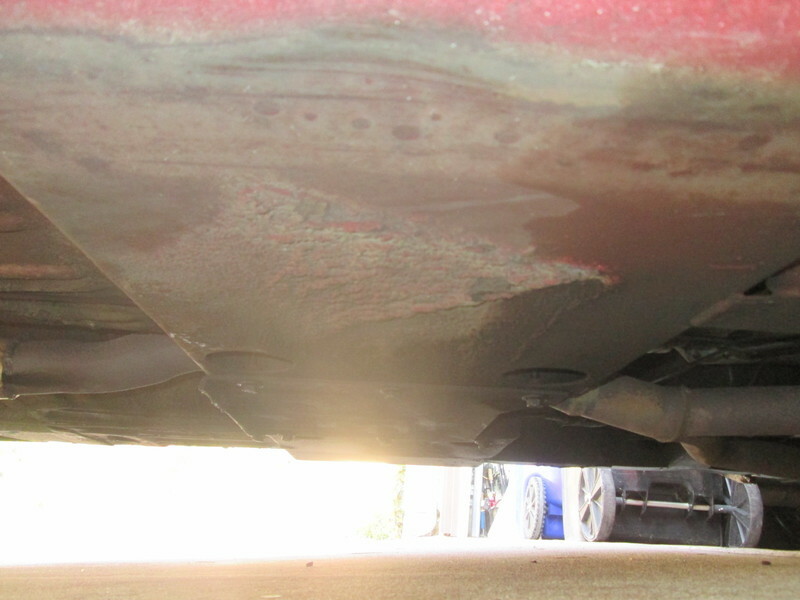 It does have the usual Mustang minor seepage on the differential. 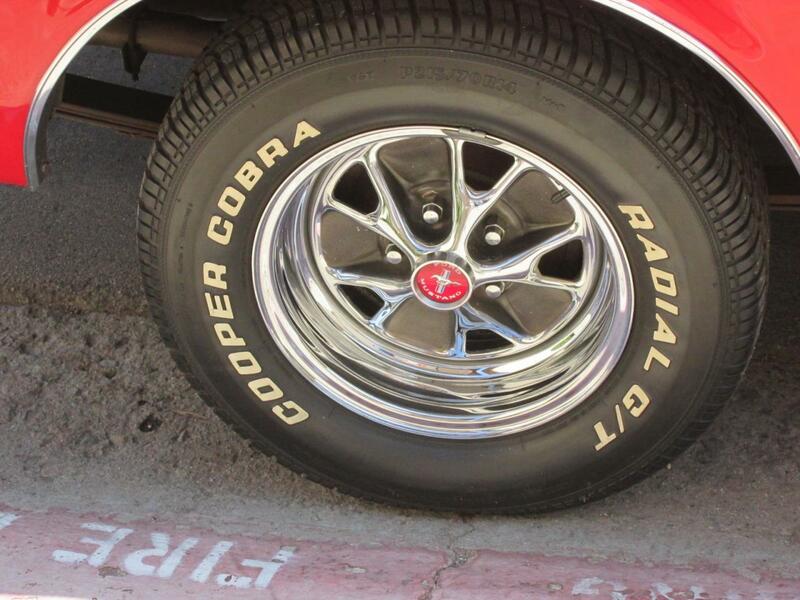 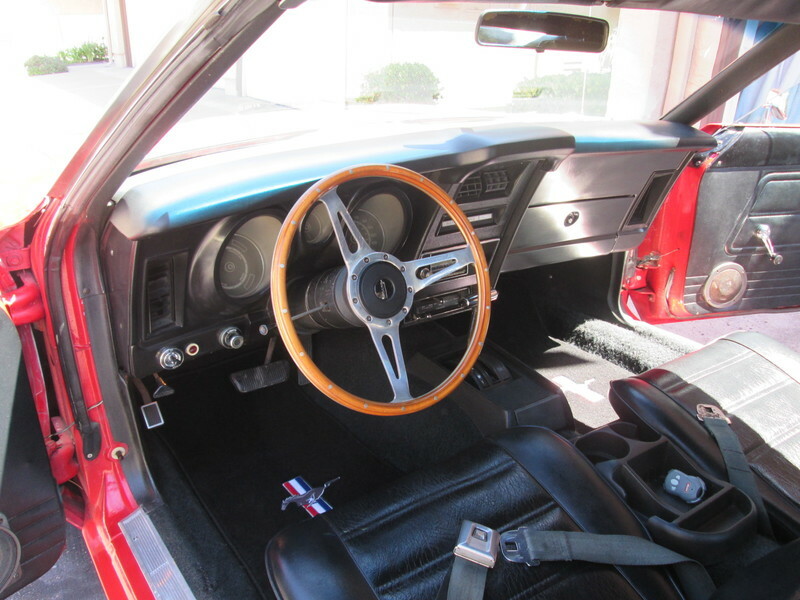 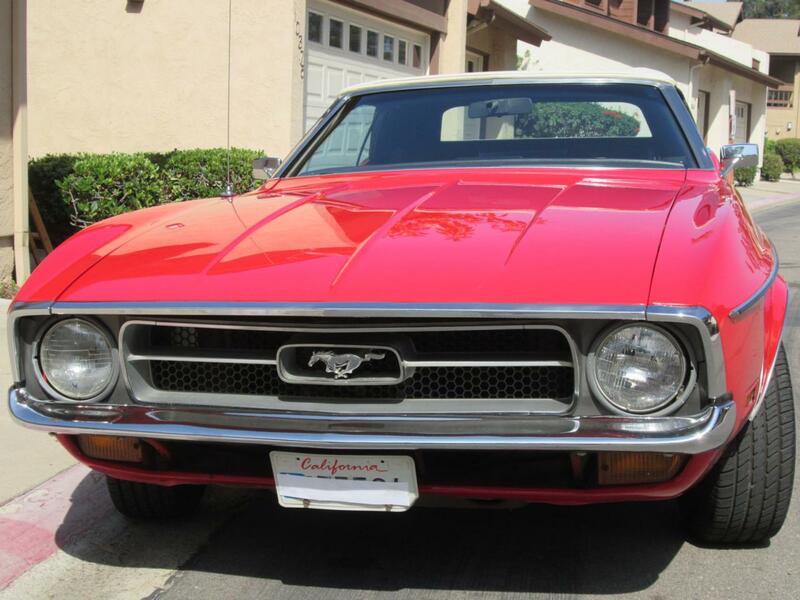 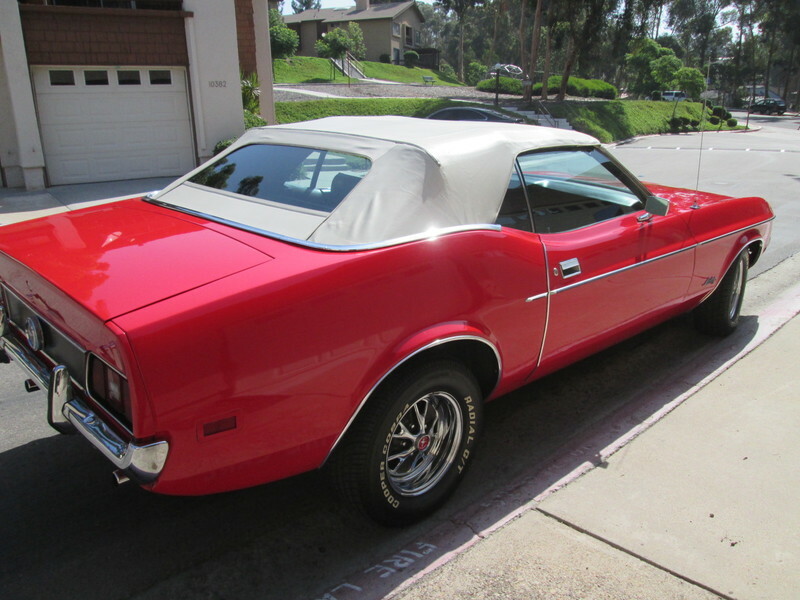 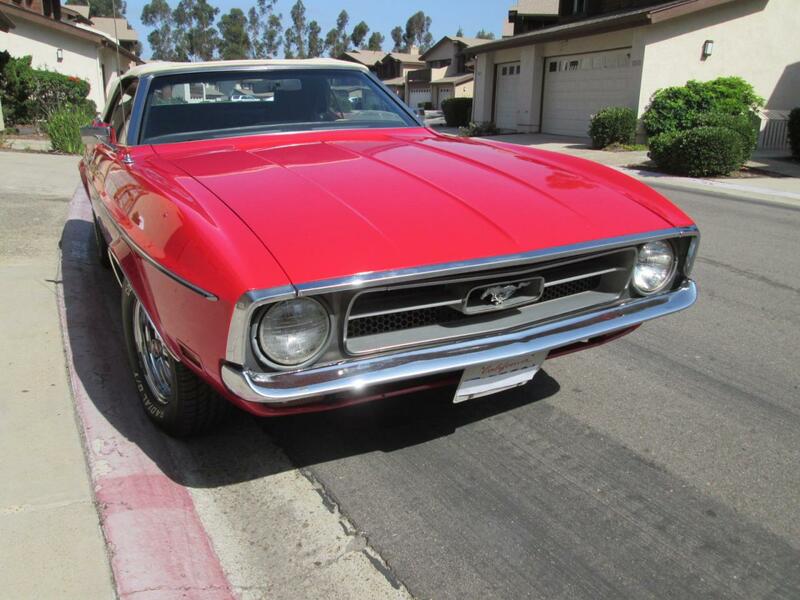 The current owner bought the car from the original Mustang owner more than 40 years ago! 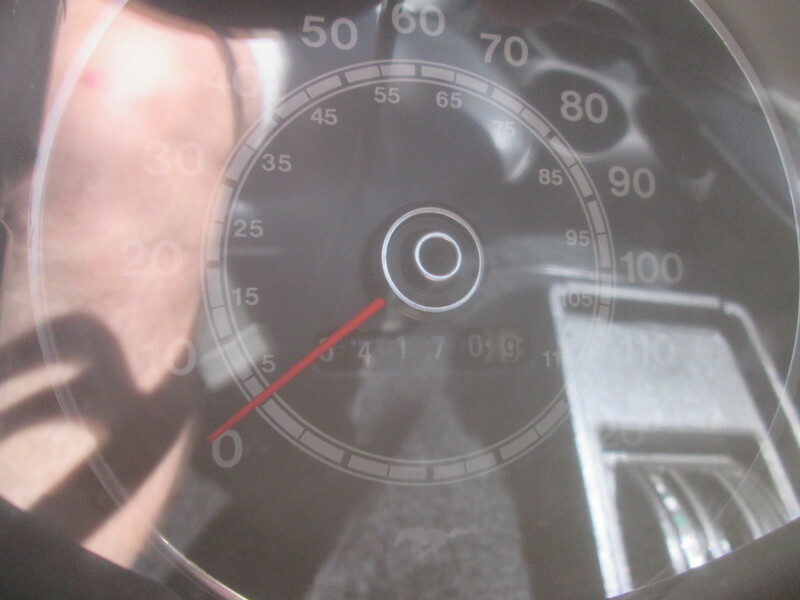 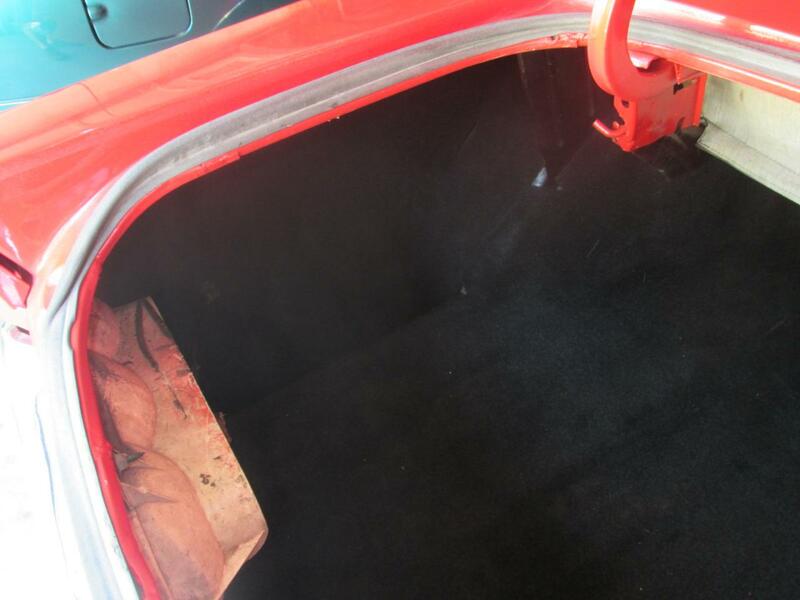 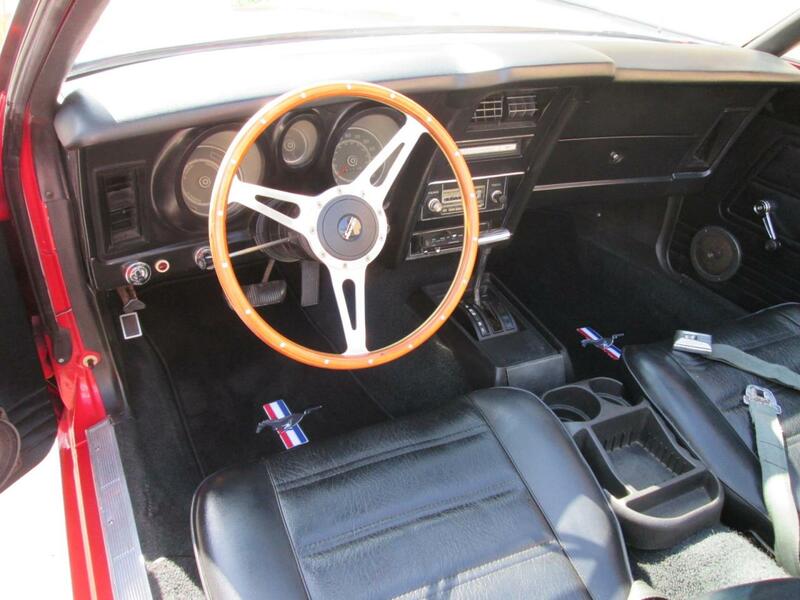 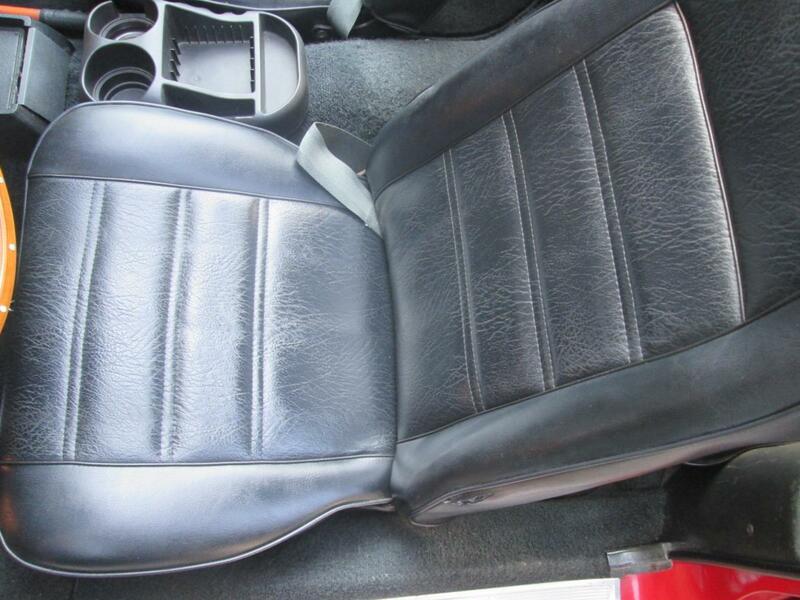 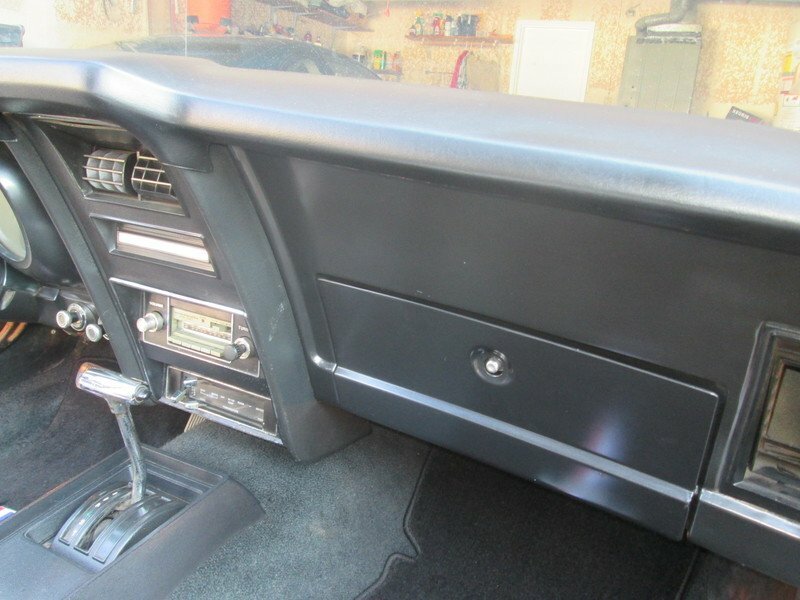 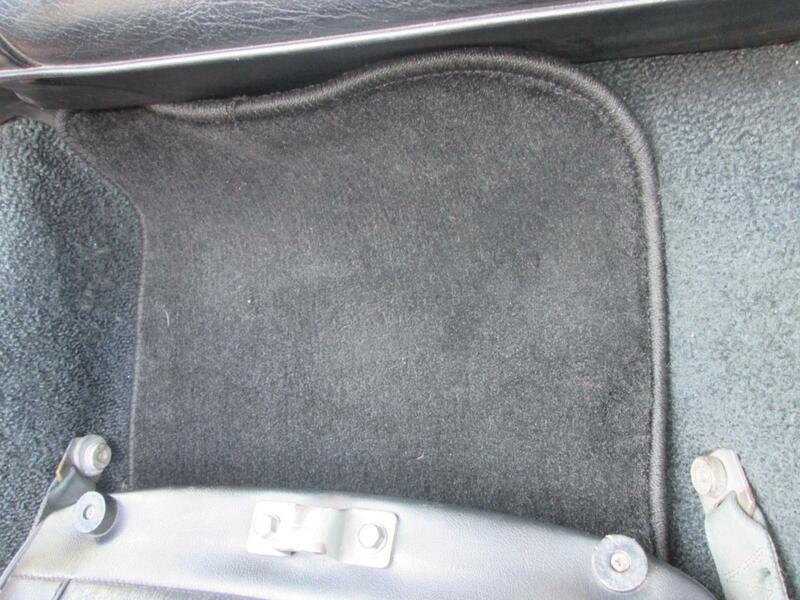 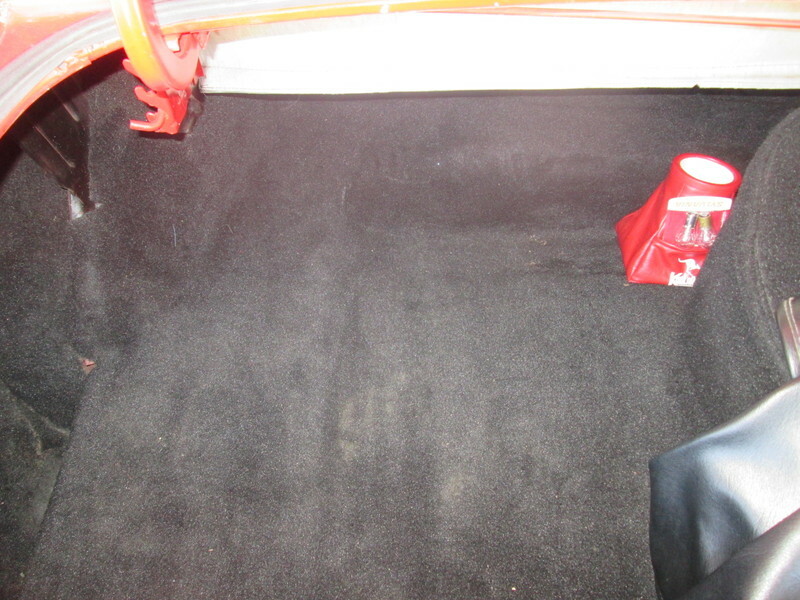 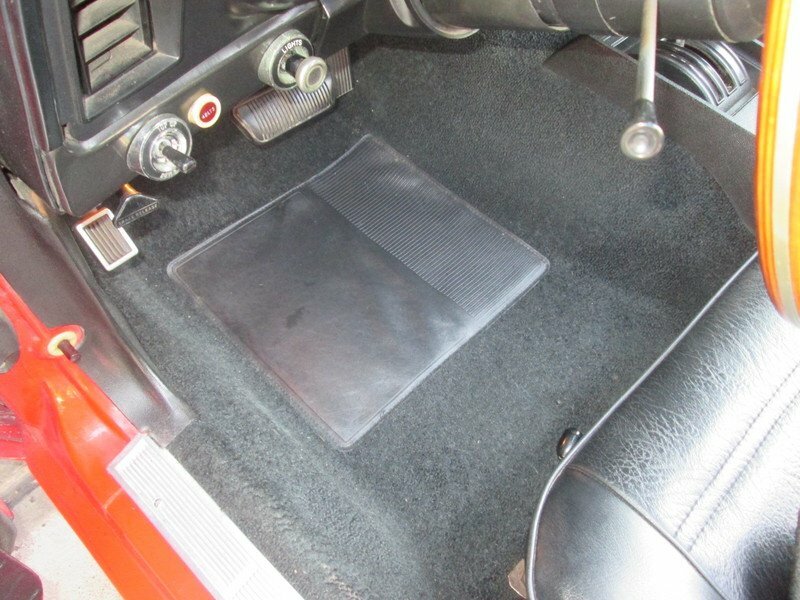 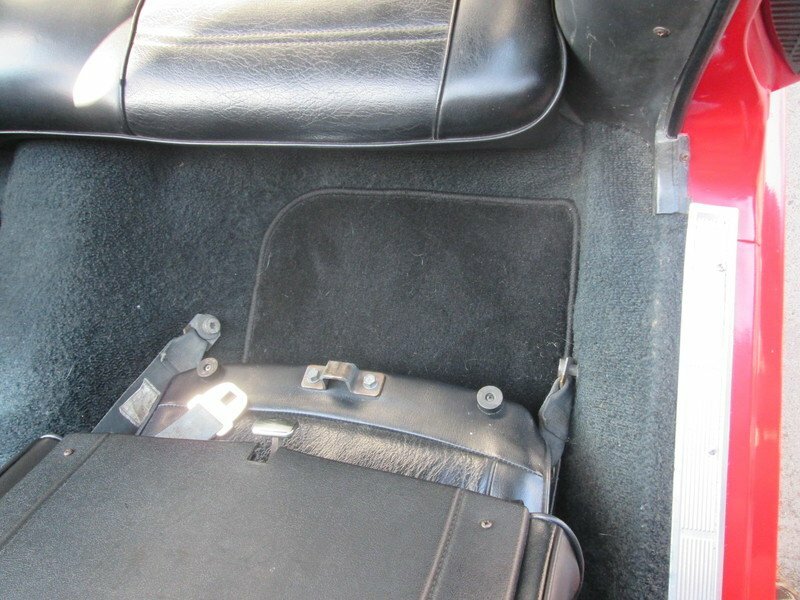 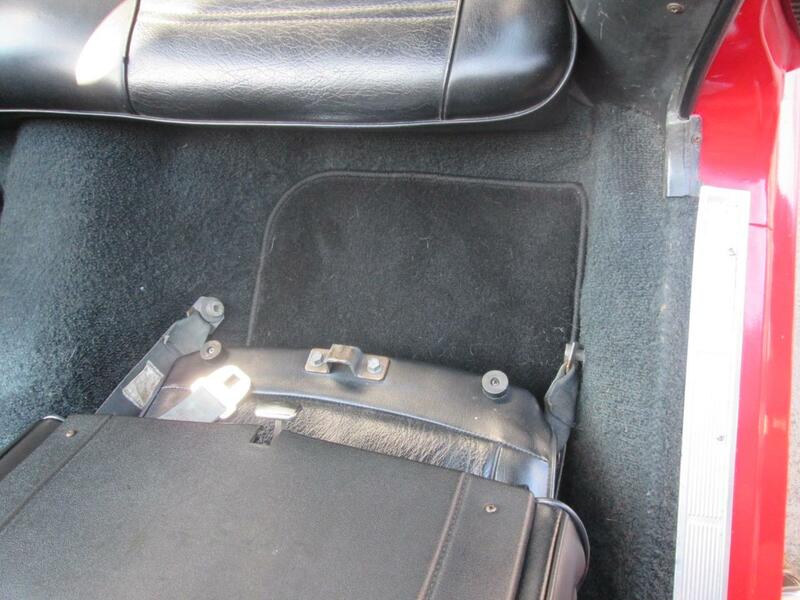 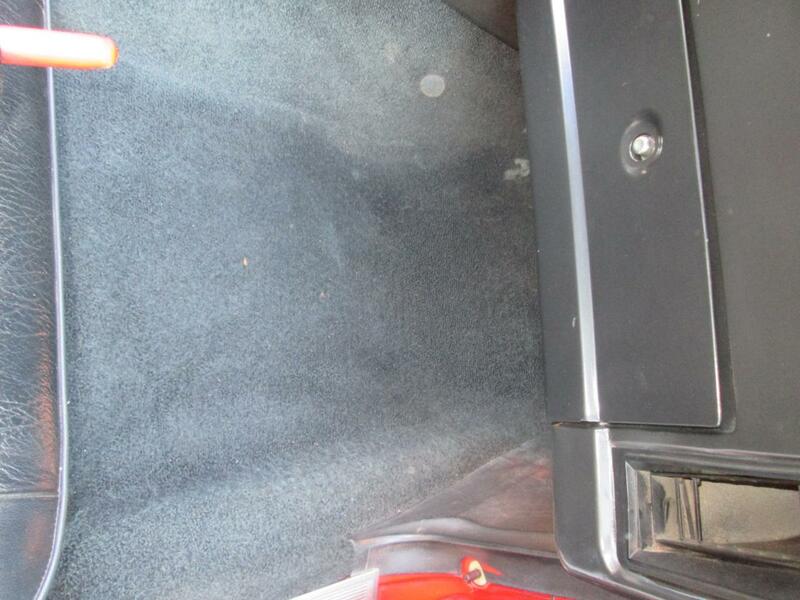 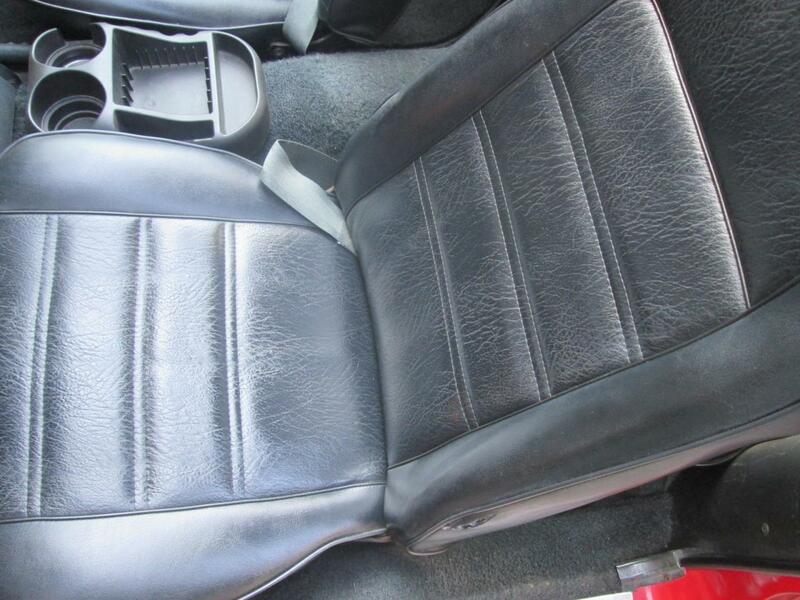 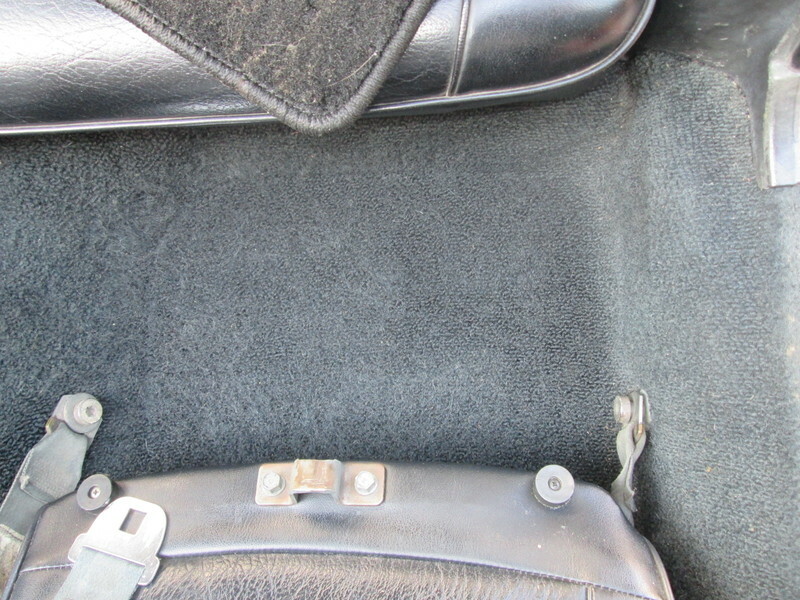 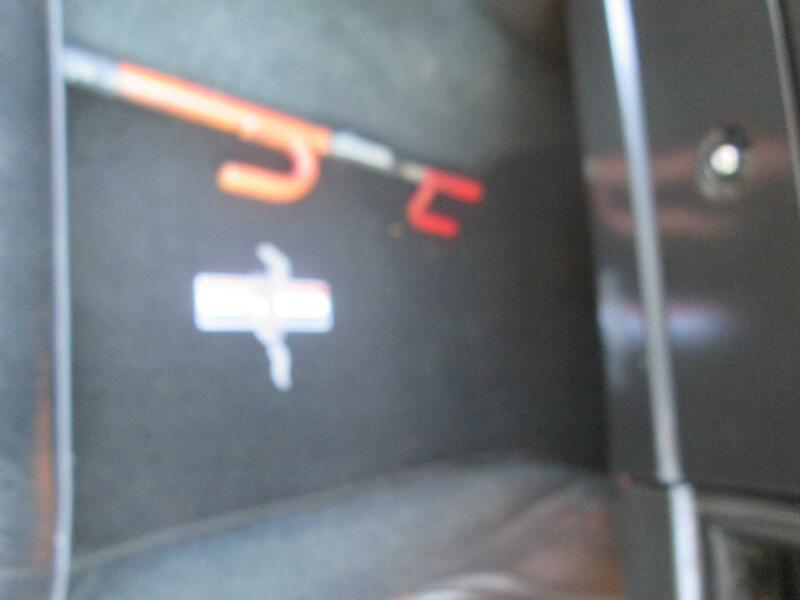 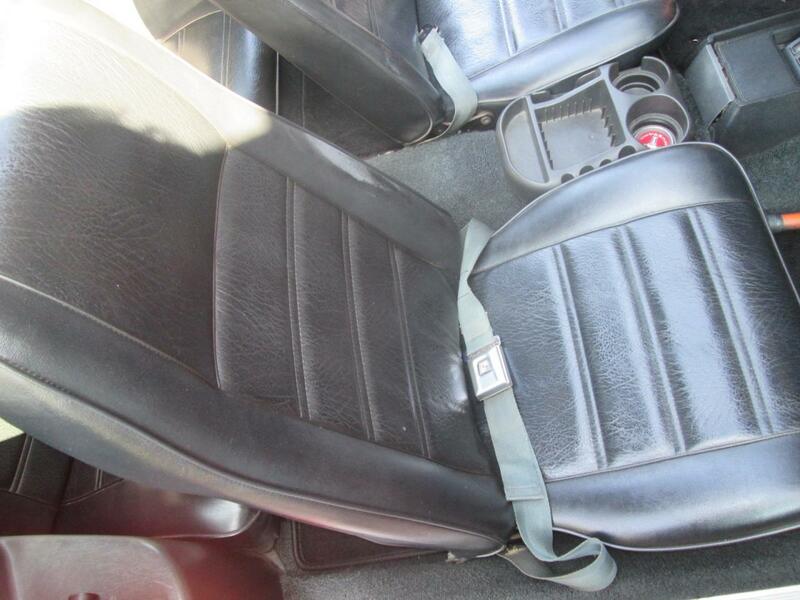 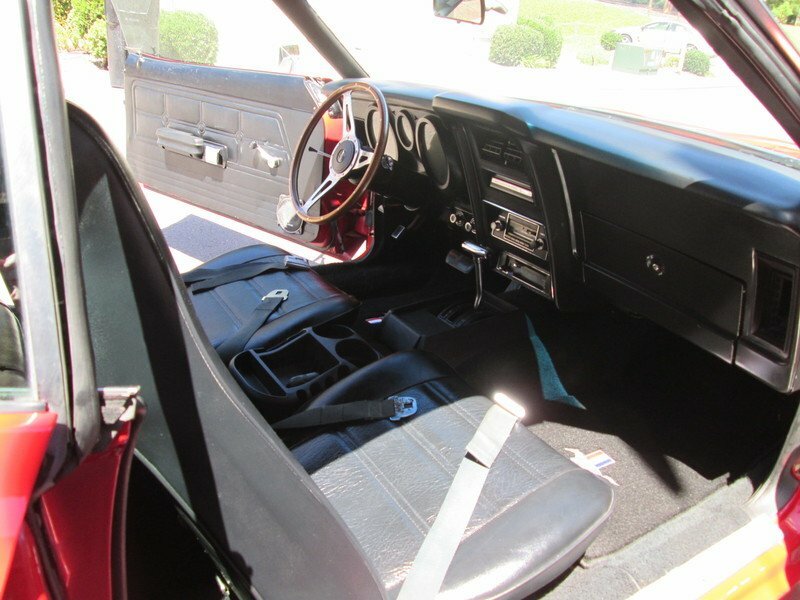 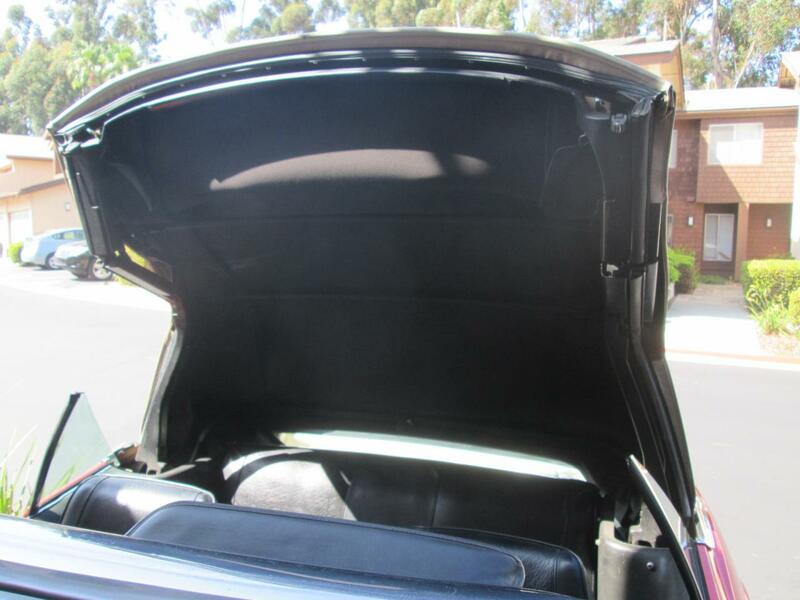 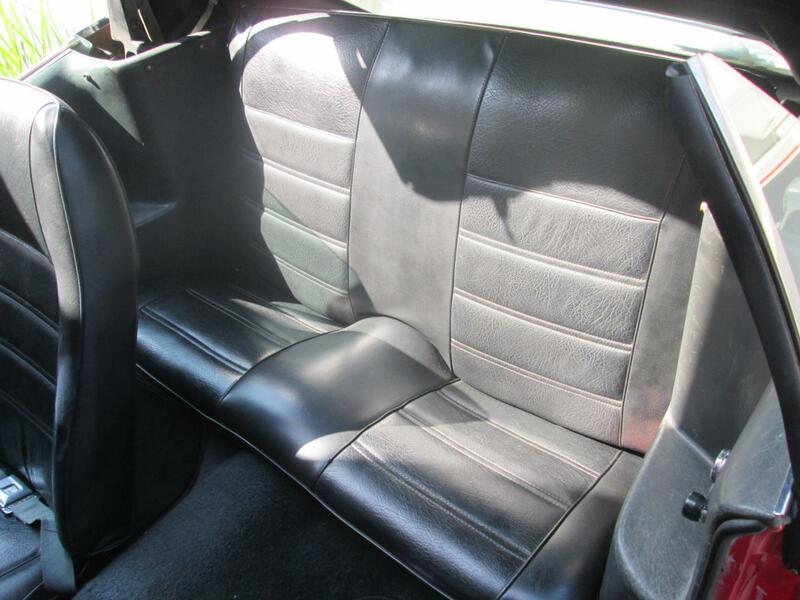 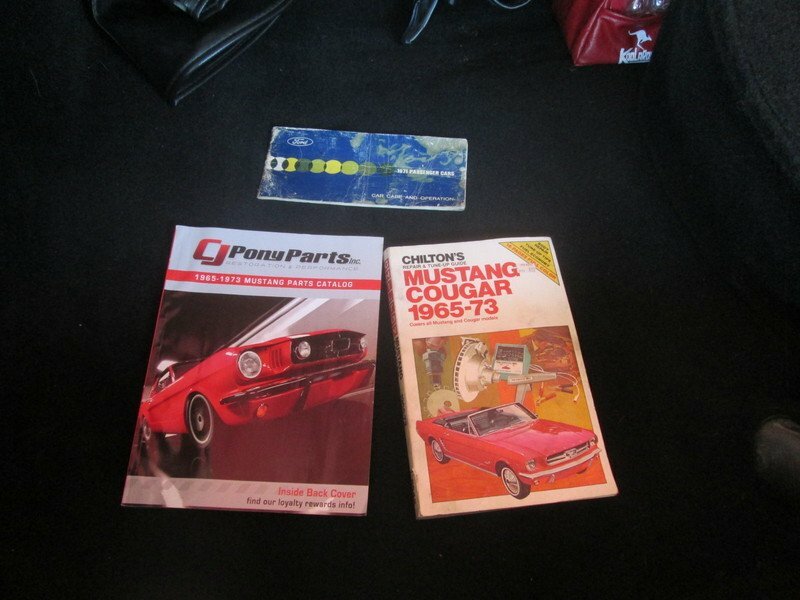 All the Mustang’s service records, restoration receipts, and the original owner's manual go with the car. 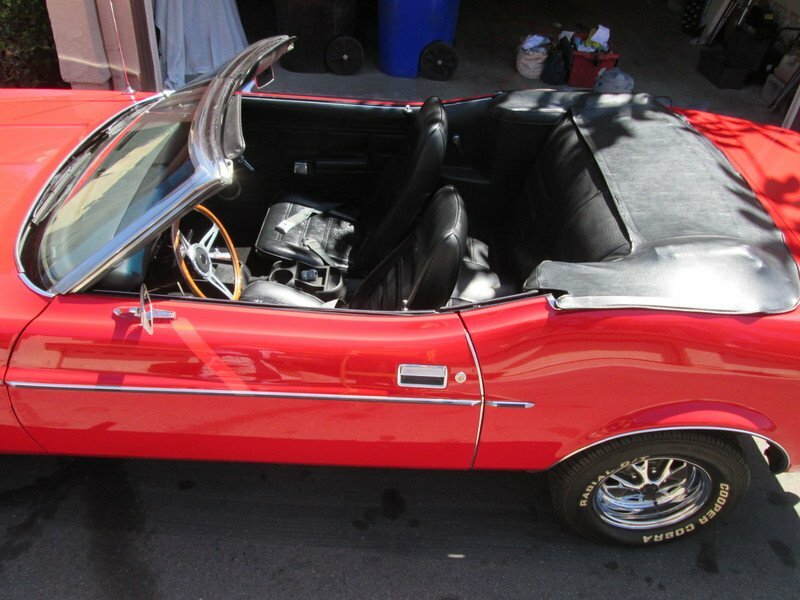 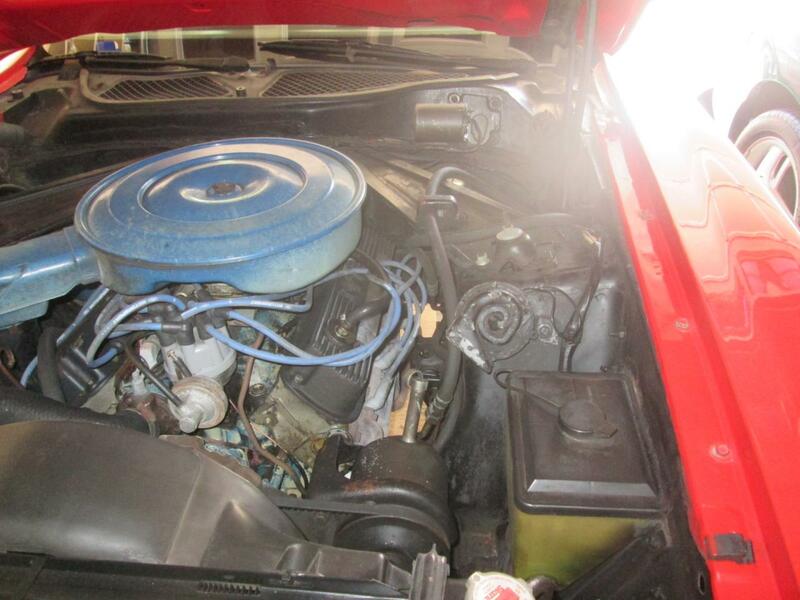 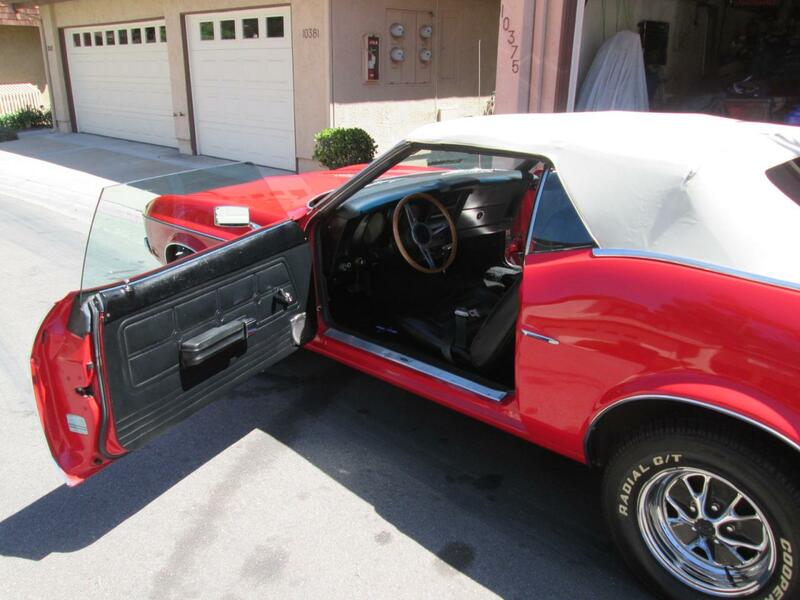 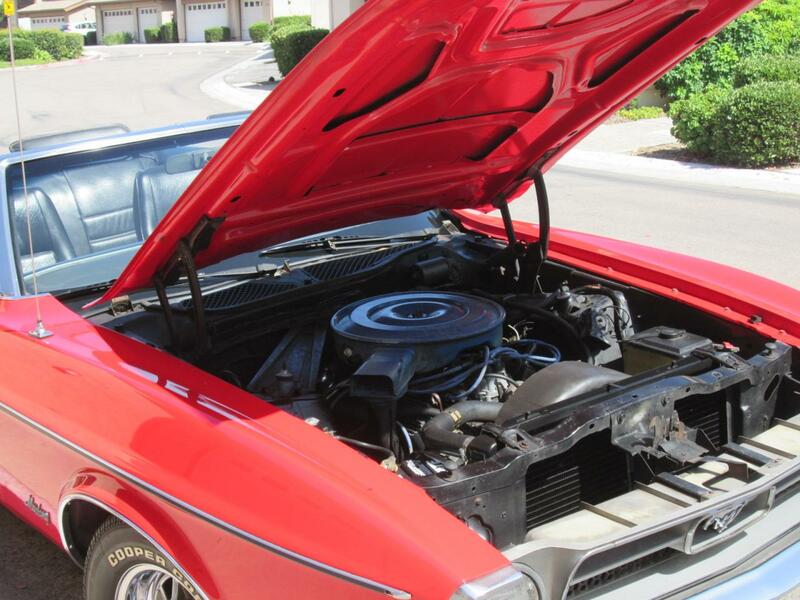 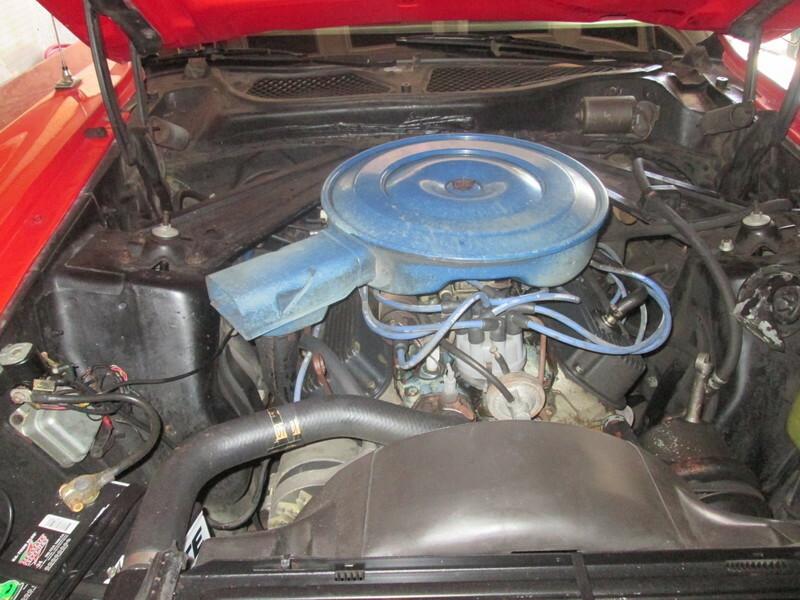 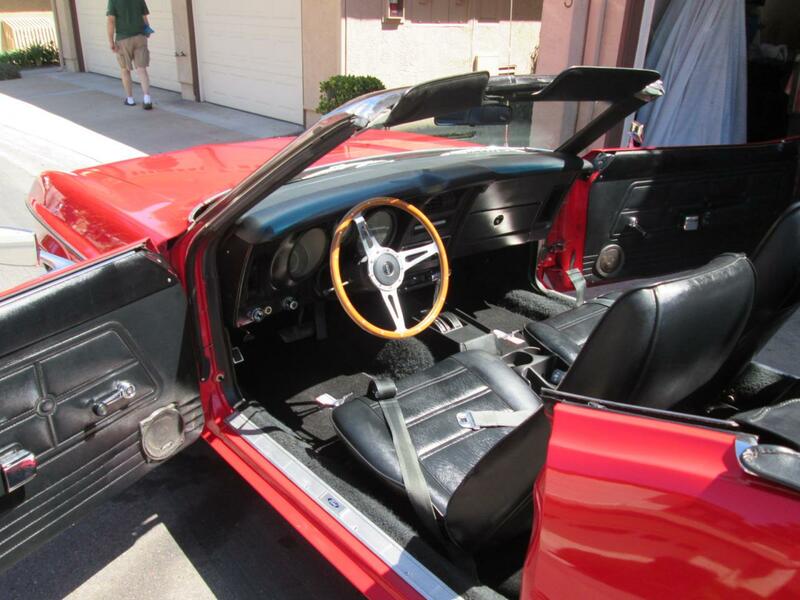 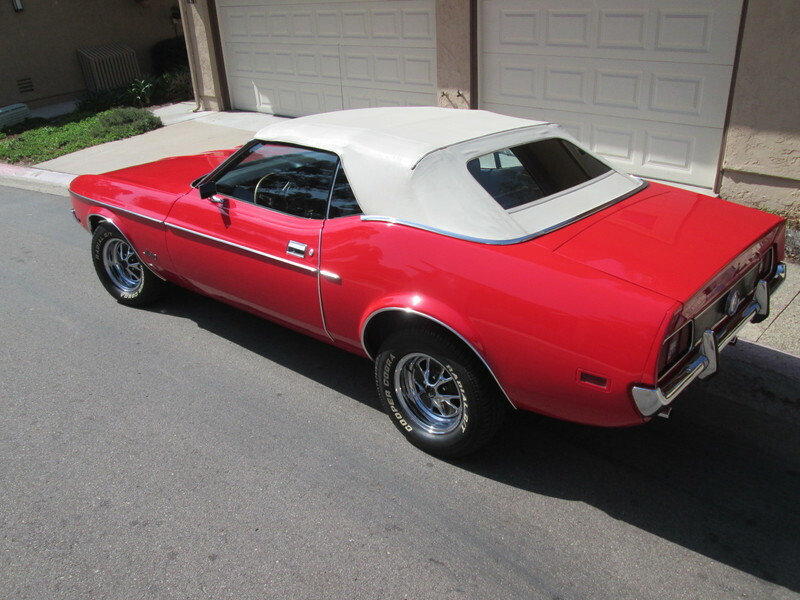 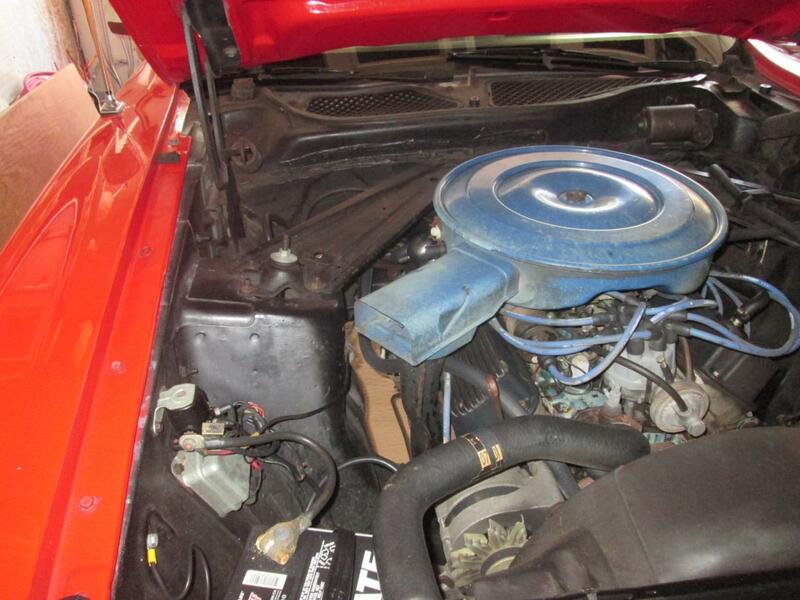 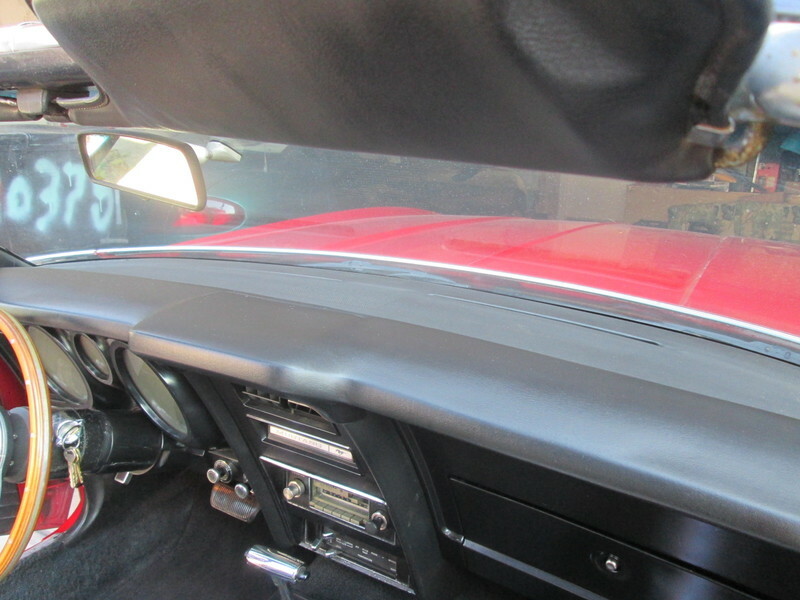 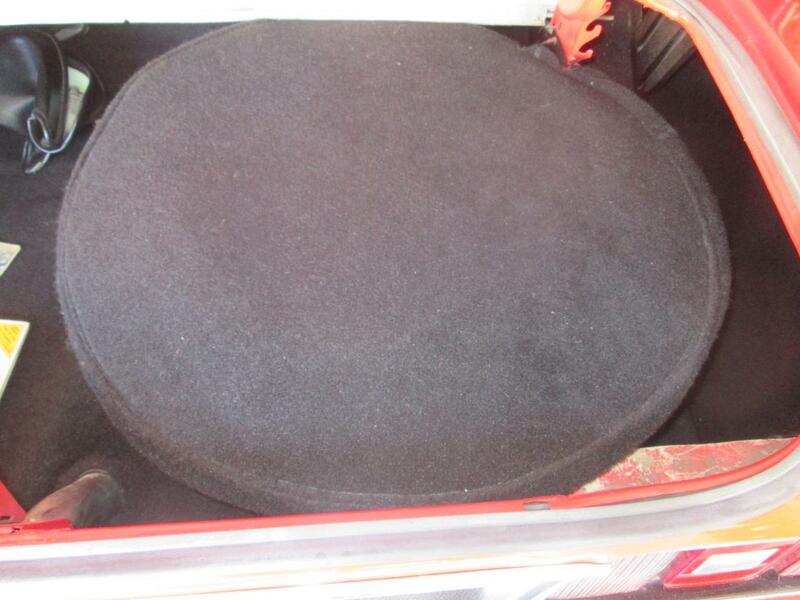 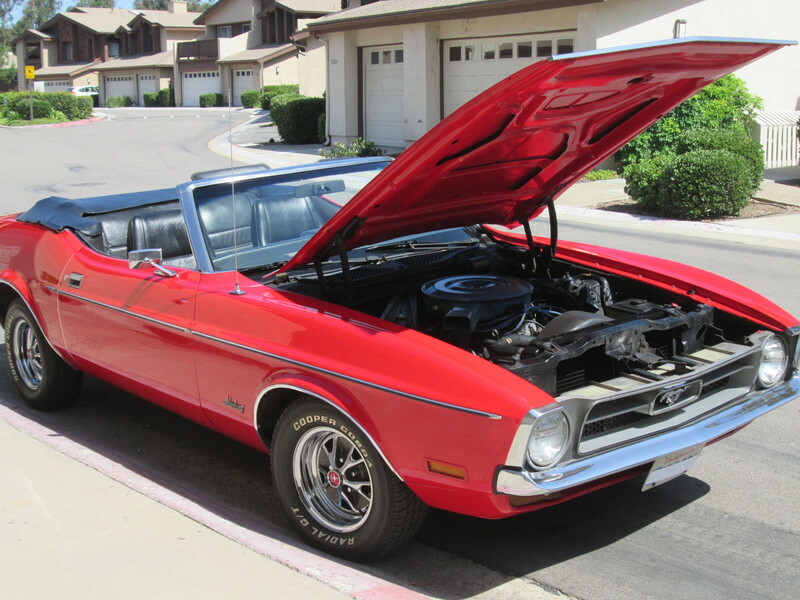 This 1971 Mustang convertible is available for inspection prior to purchase. 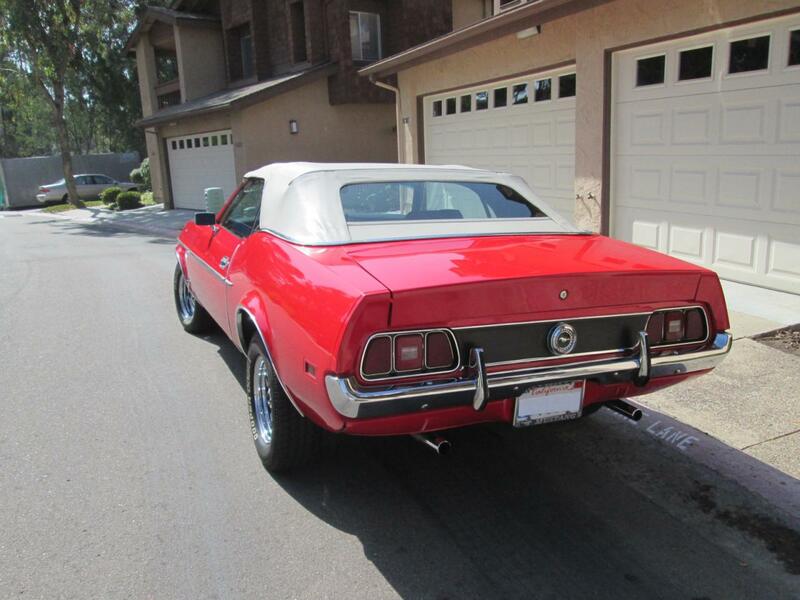 This vintage car is a nice weekend toy, ready to enjoy! 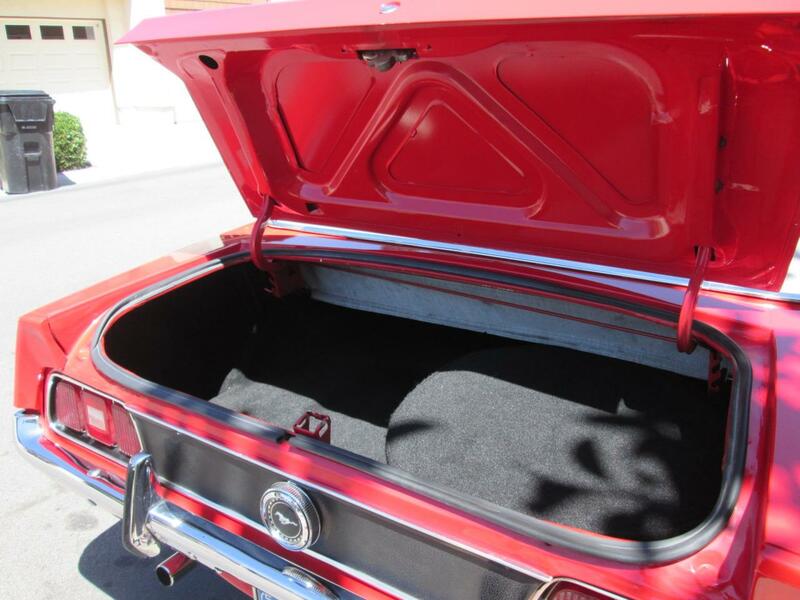 It is located in San Diego, California.